Do We Really Need an Orange on the Seder Plate? In a little more than three weeks Passover will be here, and sociologists tell us that more Jews will participate in some form of Passover Seder than will participate in any other religious event during the year! The Seder is the most successful pedagogical tool in Jewish history largely because it stimulates all of our senses: sight, touch, taste, hearing and smell. In addition to the traditional symbols many will include an orange on their Seder plates. Today it is impossible to think of meaningful non-Orthodox Jewish life without the enormous contributions women rabbis have made since the ordination of Sally Priesand in 1972. Personally, I would prefer to retire the orange and spend serious time at the Seder discussing the vital role women played in the Exodus story. This conversation will do much more than an orange to teach the vital role women have played in Jewish history and to stimulate them to think of what role they might play in shaping a proud Jewish future. Instead of an orange I want my daughters and granddaughters to know that without the actions of no fewer than six women heroes, Moses never would have gotten so far as to say to Pharaoh, “Let my people go!” I want every Seder participant to know that without these six women the Exodus could not have taken place, and we would have no Passover to celebrate! The heroism of the women who made Passover possible is a strong and accurate answer to those who claim that women always play a secondary or subordinate role in Jewish thinking. An orange does not make their case. Telling their story does. But for eight glorious days all of that was behind him as he reveled in the ceremony establishing him as the high priest of the people. And then in an instant the celebration turned to ashes. Aaron’s sons Nadav and Abihu offered “esh zarah” “alien fire” (Leviticus 10:1) on the altar of the Eternal One and in an instant the fire consumed them. They wished Moses and Aaron dead so they could take over the leadership of the people (B. Sanhedrin 52a). They attempted—unauthorized–to enter the holy of holies. We will never know why Nadav and Abihu died but the account teaches us a vital lesson illustrated by this story told by Rabbi Jack Riemer! A weeping man lingered at his wife’s gravesite after her tragic death. 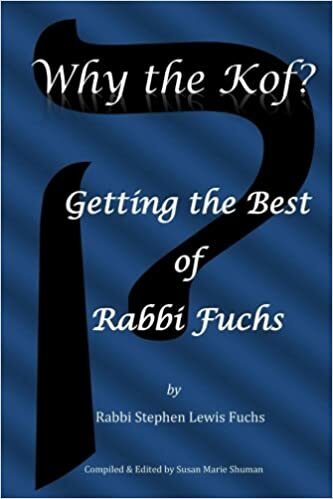 In time the rabbi urged him to return to the car waiting to take him home. Tragedy can strike any one of us in an instant. In a moment our joy can turn to sorrow and our dreams to ashes. No amount of money, power or fame protects us from that possibility. The tragedy of Nadav and Abihu urges us to embrace and savor every moment of joy and love that life offers because none of us can know what tomorrow will bring. Trump May Be ISIS’ Legacy! It is a fear growing larger in the pit of my stomach. If between now and November President Obama and the free world cannot stop ISIS’ terror and thwart their ability to put fear in our hearts, the prime beneficiary of that failure may be Donald Trump. In the circles I travel no one (maybe I should say almost no one) is going to support or vote for Donald Trump. My feelings about him have only intensified since December 6 when I posted the essay about him that you can easily search for on this blog. So what I write here is a fear not a hope, a nightmare not a dream. Rational, analytical Hillary or tough talkin’ Trump? Many have compared the Trump phenomenon to Hitler in the twenties? It is a scary comparison, but it is not without merit. Hitler played on the anger and shame of Germany’s defeat in World War I.He promised strong, firm leadership to relieve Germany’s pain. He found scapegoats at which to target the people’s anger, and we all know how that turned out. Trump is doing similar things. He chides Obama’s “weakness” in not “even” being able to defeat ISIS. He makes Muslim and Mexican immigrants his scapegoat just as Hitler did with Jews, homosexuals, Jehovah’s Witnesses and gypsies. He promises to make America great again just as Hitler promised to restore Deutschland to glory! He knows Americans are in Pain over ISIS, and he promises he has the answer! We can wring our hands all we want. We can call him a bigot, a buffoon and a bully. He is all of those things and more. But if the free world cannot contain ISIS’ reign of terror, Donald Trump may well be (and my fingers tremble as I type the words) the next president of the United States. The worst thing we can do is to think it will never happen! Yes, another human sacrifice, a practice God and Abraham taught the world to abhor in Genesis 22, and we still don’t get it. And yet some continue to see the story as other than a warning against human sacrifice. Chapter VI of “What’s in It for Me? Finding Ourselves in Biblical Narratives makes the case more fully, and I urge you to read it. I am happy to send anyone who messages or emails me at sl.fuchs@comcast.net the chapter. Still, some will continue to say, “Abraham failed the test,” or “How could God have asked such a horrible thing of Abraham.” And just as bad, some of us will continue to support football by watching this carnage or worse allowing our children to play with the same enthusiasm that those ancient Rome watched the gladiators. Make no mistake by watching football we are supporting a spectacle that leads too often to pain filled, dementia plagued, and shortened lives of those who play. Although I am not 100% decided, I will probably vote for Hillary Clinton in the Connecticut Democratic Presidential Primary. If I do, it will only be because I dislike her as a candidate less than I dislike Bernie Sanders. Because I have written that I am not eager to see Ms Clinton become President of the United States, some have accused me of being sexist. I would not like her any better if she were a man. If anything, I would favor her because she is a woman. During a trip to Israel in 1984, I’d learned that the late Geraldine Ferraro would be running for Vice-President. I considered it a cause for celebration. I wonder if any of those calling me the “S” word can make such claims. All of those initiatives met resistance, and I did not make these hires unilaterally. But because I was the Senior Rabbi of the congregation in each case, none would have occurred had I not pushed for them. In each case I’m glad I did. Because of my track record, I bridle when people say that I don’t like Hillary Clinton because she is a woman. My wife says I am jealous that nobody will pay me $250,000 to give a 45-minute speech to Wall Street bigwigs. She is right. But like Mr. Sanders, I wonder what great wisdom Ms Clinton could impart to warrant such munificent compensation. Yes, I believe those fees are unseemly to say the least, but I am equally disturbed by Whitewater and Ms. Clinton’s quick turn of profit in the commodities market. There are other things about Ms Clinton that displease me, but the time has come for me to overlook them. She is not only my likely preferred Democratic candidate, but she is the one with the far better chance of defeating Mr. Trump in the general election. That to me is job one. As for the fact that Ms Clinton is a woman … that is the best thing she has going for her. Just as ‘”Yankee Doodle Dandy” attributes his priorities to the fact that he was born on the Fourth of July, I attribute mine to the fact that I was born on Shabbat Zachor, the Shabbat before Purim. On my 30th birthday, March 16, 1976, I was among a group of Baltimore area rabbis gathered in an upscale Spanish restaurant to celebrate the upcoming retirement of Rabbi Abraham Shaw who had spent 40 years as rabbi of one congregation, Oheb Shalom in Baltimore. As colleagues paid tribute to Rabbi Shaw, I found myself imagining that the gathering was really in honor of my 30th birthday. As I looked around the group I saw some wonderful role models. But I also saw a “scholar rabbi” who spent most of his time studying and writing learned articles read only by specialists. His congregation basked in his reputation as “a brilliant man.”I saw one I considered “a glad hander rabbi,” who always had a smile and a slap on the back for everyone. I saw a “businessman” rabbi who was a Cracker Jack fundraiser, and a great administrator. I knew I did not want to be like them. I wanted, and I still want to be remembered as a rabbi who cared deeply about his congregants’ lives and whose love of Torah enabled him to help others find greater meaning in its stories. I never had the privilege or the burden of working with a senior colleague. Surely I could have benefitted from the experience of a wise and seasoned Senior Rabbi. At the same time I am glad that from the outset of my career, I had the opportunity to make my own decisions and my own mistakes. I have had the privilege of working with younger colleagues in each of the three congregations I served. Some of these relationships were wonderfully harmonious and successful. Some, I acknowledge, were not. I take a good measure—though not all of—the responsibility for those partnerships that were less than mutually enriching. There were times when I should have stepped back instead of stepping in, and there were times when I should have listened more and talked less. Certainly, I have made other mistakes and not—as Frank Sinatra sang—“too few to mention.” At times I have been too focused on what people think of me and at times insufficiently sensitive as to what the impact of my words and actions on others would be. I own these shortcomings and still try to work on them. I am also very intense, and some find that intensity off putting. If I could live my life over again, I would dial it back a bit. But, I would emphasize, that very intensity also drove me and continues to drive me to do things as well as I possibly can. I can honestly say that I have never “phoned in” a baby naming, Bar or Bat Mitzvah, a wedding a lesson, a sermon or a funeral. Yes, I am proud that in some ways the life course I envisioned for myself in that Baltimore restaurant eventuated as I hoped. But when I was thirty, I had no idea how important the lessons of the Purim story would become to me. I have always loved Purim. The first real responsibility I took on in my high school youth group—long before I considered becoming a rabbi–was to chair the Purim Carnival at our Synagogue. I had not yet learned George Santayana’s famous quotation, ““Those who fail to learn from history are doomed to repeat it”. Even so, I responded then as I do now. We must learn from the lessons of the past in order to shape a better future. We cannot undo the past, but the future is ours to shape! I also love the Purim story for what it teaches us about our destiny in life. In the Purim story Esther’s heroism averts the tragedy Haman planned. But she was reluctant to go to the King. When he heard that, Mordechai’s message to her was clear: You must! Who knows, he “texted her” through their go between, Hatach, if you did not get to be queen just for this opportunity that only you have to make a difference. I believe each of us has these moments in our lives. The first one I remember was when I was fifteen and walking to our synagogue’s Chanukah celebration. I stopped in to buy my girlfriend a gift when a girl about ten years old entered the store. She was literally dressed in rags and reminded me of the Little Match Girl of Hans Christian Anderson’s famous story. “I want to buy a Christmas present for my Mother,” the girl told the storekeeper, “but I don’t have much money. The girl frowned when he told her the price, and she realized after counting her money, that what she had was not enough. To this day I believe the Eternal One put me in that store at that moment so that I could make up the difference between the amount of money the little girl had and the cost of the gift. I believe these moments when we like Esther have a chance to make a difference come to all of us. But we must be on the alert for them. Or they can quickly pass us by. The rabbis say that a burning bush was an odd way for God to manifest the Divine Presence to Moses. After all burning bushes are not so unusual in the desert. But only because Moses was on the alert did he realize the bush was not consumed and contained a life changing message for him. That is why Vickie and I went to Germany. Teach German high school students that they are not responsible for what happened, but only through learning about it can they prevent such things in the future. Conduct holy day services in synagogues that would have gone without a rabbi. 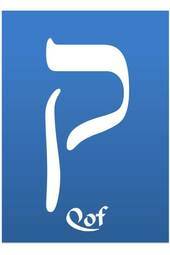 Share the approach to Torah in my book, What’s in It for Me? Finding Ourselves in Biblical Narratives with audiences that had always felt they had to choose either to take the Bible literally or dismiss its stories as quaint fairy tales. Speak in more than fifteen churches where a rabbi had never spoken before and where many of the worshippers had never seen a living, breathing Jew before. Speak at three Kristallnacht commemoratives in Leipzig, the city where my father, z’l, was arrested on that fateful night. Conduct the first Jewish service in the city of Friedrichsstadt since before World War II. Offer Seminars and lectures at the Abraham Geiger College and the University of Hamburg. In the scheme of things these are not great accomplishments. We did not cure cancer or make peace in the Middle East. But we made a difference. Who knows if you are not where you are just for the opportunity to make small difference for good in peoples’ lives? The Shabbat Eve service at which I celebrated my 70th birthday was a delight. There was a lovely crowd, and they really seemed to appreciate (if I say so myself) my sermon. They even liked the original songs I contributed to the service. The Oneg Shabbat reception that Vickie and I sponsored after the service was lovely. Our dear friend Yvonne Goldstein, who lives in Tucson, lovingly sent ten pounds of Rugelach, which the congregation inhaled, from her favorite bakery in San Diego. To top off the evening Maria (“Masha”) Sheinin from Moscow and her son Mark drove up from Manhattan to be there. When I saw that it actually was Mark and that Masha was there too, I was deeply touched. I had no clue that she would come or even seriously consider coming. “Masha” is an international banker who lives part of the year in Russia and part of the year in New York City. She was President of the Reform Movement in the Former Soviet Union, and we worked together when I served as President of the World Union for Progressive Judaism. Four and a half years ago when she was (very) pregnant with Mark, Masha made a wonderful presentation at a young professionals event in which she articulated so beautifully that Progressive Judaism attracts her because it not only allows but requires us to filter ancient traditions through our own intellect and spiritual consciences. Her intelligence, sincerity and charisma made an indelible impression on those who attended. When Mark was born in New York City not long after that event, Vickie and I visited them in Mt Sinai Hospital. I was honored when he was eight days old to attend his brit milah ceremony entering him into the Covenant of Abraham and the Jewish people. Still I had no expectation that Masha with Mark in tow and now pregnant with her second child would drive all the way to West Hartford and back again to Manhattan at ten o’clock at night. Vickie and I invited her to stay overnight in our home, but she needed to get back to New York because her parents were flying in from Moscow the next morning. Yes, my 70th birthday service was very special, but the surprise appearance of Masha and Mark gave the occasion an extra measure of joy. The faces in the photo that hangs in the new synagogue in Bad Segeberg haunt me. They seared themselves into my brain the first time I saw it, and they do not let go. What were these 26 souls thinking when—in hiding–they celebrated Purim in 1936? Their eyes and their smiles betray fear as well as their resolve to celebrate the festival with joy. The News that the Meir Chayim Temple, in McGehee, AR, will officially close this summer saddens me. In tribute to this congregation and what my experience there means to me, I am reposting this memoir of my time there.